It is not common to find a hotel in Harajuku. But Girls! You can find a perfect accommodation in Harajuku and this place is all in pink!! 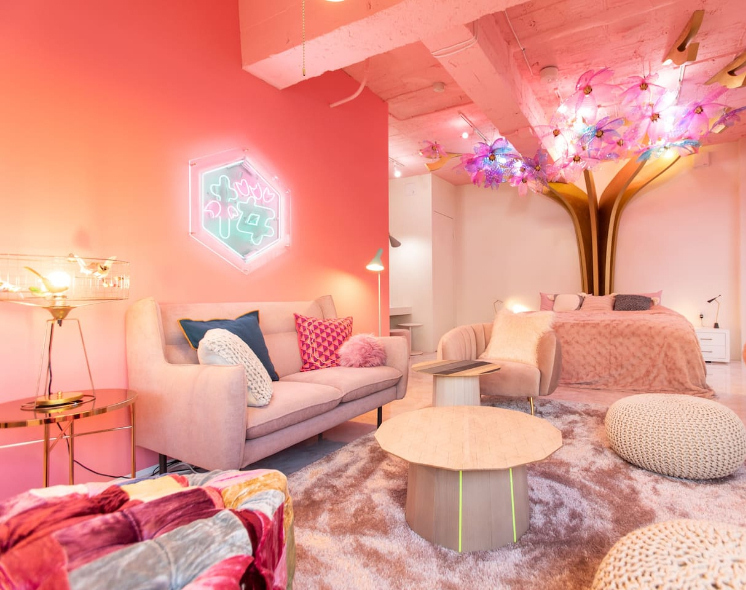 MOSHI MOSHI ROOMS’ first concept accommodation is called “SAKURA”, which means cherry blossoms, and as you can imagine, Sakura is pink. This unique space is dedicated to pink and sakura. The room rate is not exactly economical but it is well worth staying with 4 other friends as the maximum people to share is 5. You can also use the roof top area, which is artistic and fashionable, and ideal for BBQ and a small outdoor party. Staying there is definitely ”Instagenic”, in Japanese “Insta-bae”. This entry was posted in About Japan, Secret Spots, To Stay and tagged About Japan, Accommodation, Tokyo.